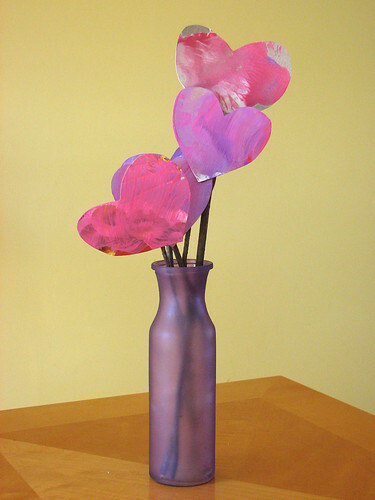 Simon and I made these Valentine “flowers” by painting heart cutouts from some cereal boxes. We then used some masking tape to attach them to some sticks we gathered outside. Now they are in a pretty vase on our kitchen table.